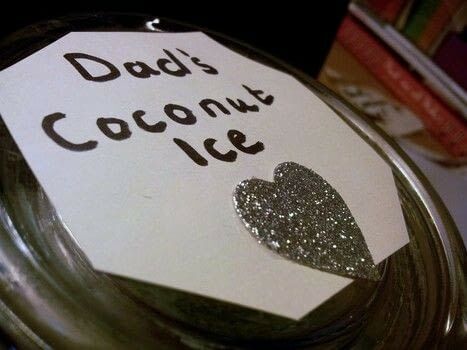 Fathers Day Gift Idea- This is super easy to do and requires no cooking! My dad is the kinda Dad thats pretty hard to buy for- he likes cycling- so he buys himself all the cycling gear he needs, He likes red wine, so he has a wine rack (with plently of red wine in it), He likes boats- so he bought himself a boat. My basic point is- anything he wants, he tends to buy (the git). 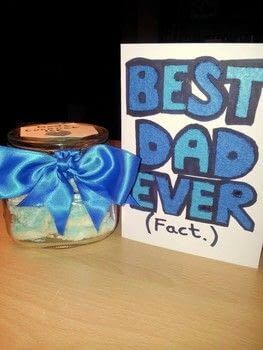 And theres only so many shirts from M&S and cycling biographies you can buy, so nowadays I tend to make him something. 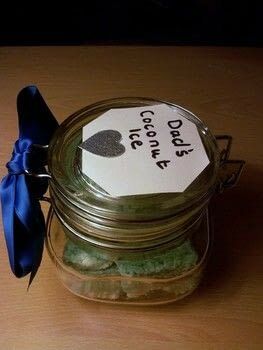 He loves Coconut Ice- so I made him a batch- and I made it blue instead of the traditional pink, so it's manly coconut ice. Line a 24cm square tin with greaseproof paper. 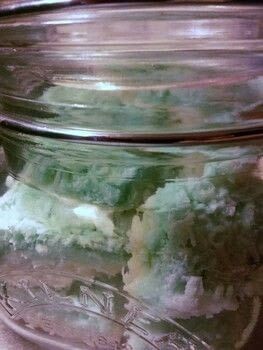 Mix all the ingredients except the food dye with a wooden spoon until combined. Spoon half of the mixture in the base of the tin and spread out evenly with the back of a spoon. Add the food colouring to the remaining mixture and blend well until it is an even blue colour. Spread over the top of the first layer and smooth out. Leave for 5 hours in a cool place (not the fridge). Use a sharp knife to cut out your or cubes or letters if you prefer. 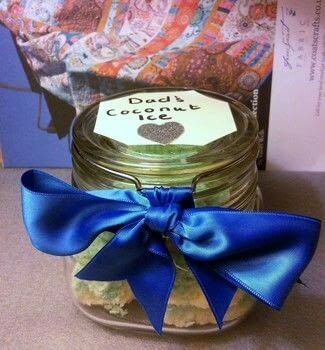 Leave overnight before gift wrapping or eating- this will dry it out and give it a more crumbly texture!